1. It is good to be spontaneous when travelling. 2. Weekends can be really boring. 3. Weekends are perfect for long walks. 4. The best thing about Saturday morning is breakfast. 5. It’s good to get outside at the weekend. 6. Sundays are for meeting friends and chatting. 7. Sport is more about fun than prizes. A) Rock stars’ income cannot be compared with income in any other professional category. B) Some rock stars admit that they earn more than they deserve. C) Being a good singer is more important than being lucky in show business. D) Star fans are not happy when a rock star appears too often on TV and in movies. E) Rock stars support charity programs in many different ways. F) Most rock stars end their life in poverty. G) The stage life of many rock stars is not long. 1) it is only natural to go by one’s first name for a girl. 2) she didn’t like her real first name and changed it when she grew up. 3) she wanted to avoid confusion with other female members in the family. 1) she could be alone at least on the way to school. 2) her teacher always made her feel special. 3) she could learn more, listening to older kids. 1) proved to be a natural dancer. 2) couldn’t learn to play basketball. 3) could take athletics with boys. 1) her employer helped her to continue her education. 2) she earned enough money working at the creamery and at the cafeteria. 3) she got an academic scholarship. 1) she feels sorry she had so many children. 2) she wishes she had more. 3) she believes it was a reward for all her previous problems. Установите соответствие между текстами A–G и заголовками 1–8. Запишите свои ответы в таблицу. 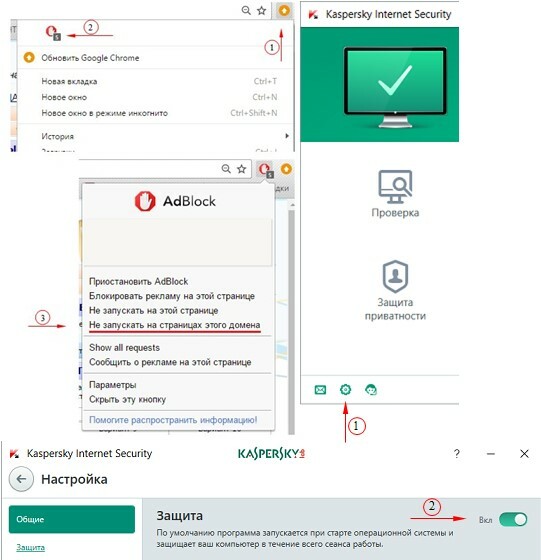 Используйте каждую цифру только один раз. В задании один заголовок лишний. A. Sure, we’re virtually connected to our phones 24/7 now, but what if we could be literally plugged in to our phones? That’s already starting to happen. Last year, for instance, artist Anthony Antonellis had a chip put in his arm that could store and transfer data to his handheld smartphone. And researchers are already experimenting with sensors that turn human bone into living speakers. B. In the future patients will be able to use implantable technologies to diagnose and even treat diseases. Scientists in London are developing swallowable capsule-sized chip that will control fat levels in obese patients and generate genetic material that makes them feel “full”. It has potential as an alternative to surgery to handle obesity. Also it can monitor blood-sugar levels for diabetics. C. The U.S. military has programs to identify any person using face scanning device. Some people see it as a doubtless advantage: improved crime fighting, secure elections and never a lost child again. However, such technologies can hammer against social norms and raise privacy issues. And one day there might be a computer to see all, know all and control all. D. One of the challenges for implantable tech is delivering power to devices which are inside human bodies. You can’t plug them in as you do with your phone or computer. You can’t easily take them out to replace a battery. A team in Cambridge is working on specific bio batteries that can generate power inside the body, transfer it wirelessly where needed, and then simply melt away. E. Soon tattoos will not only make you look cool but will be able to perform useful tasks, like opening your car or entering smartphone codes with a fingerpoint. Researchers have made an implantable skin fibers thinner than a human hair. Scientists are working on the chip that can be put inside a finger through a tattoo-like process, letting you unlock things or enter codes simply by pointing. F. The British research team is developing pills with microprocessors in them that can text to hospitals directly from inside your body. The pills can share inside info to help doctors know if you are taking your medication properly and if it is having the desired effect. Moreover, in case of emergency, it can send a signal to the computer and the ambulance will come straight away. G. Lately touchscreens are everywhere – from computers, phones, tablets to car systems and vending machines. Even doorbells now include touch screen controls. One has to wonder: are we moving to a world of only touchscreen devices? And the answer is probably yes. We are coming to an age where every flat or even curved surface could be made a touchscreen and we can operate from it. As you would expect of a capital city, Cardiff offers a huge choice of exciting sport and entertainment throughout the year. Every March the city celebrates St. David, Wales' patron saint, with parades and music. August sees the International Festival of Street Entertainment, with the heart of the city A _________________________. Family fun days in the parks and at the waterfront are part of this sensational summer scene. Brass and military bands are often to be seen on Cardiff s streets. Between May and October the world's only seagoing paddle steamer cruises from Cardiff's seaside resort. In autumn the fun continues with Cardiff s Festival of the Arts В _________________________. Music is at the centre of the festival, with international stars С _________________________. Christmas in Cardiff is full of colour and festivities. The truly spectacular Christmas illuminations have earned Cardiff the title of «Christmas City». And there is entertainment for all the family, D _________________________. There is always something happening in Cardiff. The BBC National Orchestra of Wales and Welsh National Opera can both be heard here. Cardiff previews many London «West End» shows E _________________________. The city's range of accommodation facilities is truly impressive, F _________________________. And with a city as compact as Cardiff there are places to stay in all price brackets. I’ve spent the last year wandering around the globe and exploring this wondrous thing called life. Through 26 flights, I’ve managed to circle the globe twice, and touch 5 of the 7 continents. It’s been an incredible experience. The journey led me from scuba diving for a month in Thailand to hitchhiking in African country. I’ve learned about the world and myself more than any book, teacher or person could tell me. I’ve learned that the timing will never be perfect because rarely are we blessed with the perfect time to do something. When I was planning on leaving to travel for a year, it was never the “right time” when everything was going to be put on hold for my travels. I needed more money, or I would lose my job. I realized that I was never going to be “ready” to drastically change my life, as I was always going to have some new commitment or excuse. So I left at the “wrong time” in life and it turned out to be the best thing that happened to me. But once I got sick of missing out on things I wanted to do and see, I started to just do them anyway. I’ve also learned that friendships are everything. I heard this one a lot before, but never really believed it that much. When I started looking back on my travels, I started to think “Wow, I’ve seen a heck of lot of cool places”. I tried to think back to my favorites, which ones did I enjoy the most? They were always the ones where I had the best friends and really had nothing to do with where I was. The people around you contribute a great deal to your overall happiness. It was only when I had no friends that I realized their importance. When travelling, you have complete freedom to literally do anything you want. You can relax everyday on the beach, you can be alone every day in your room, you can eat ice cream for breakfast every day, and you can drink all the time. This freedom can be quite liberating, but many people have a tough time balancing the party/drinking/vacation aspect with truly seeing and experiencing each country, because you have no responsibilities and no one around to tell you when you can’t do something. I too fell into a similar kind of trap. I indulged in so many aspects of life. I took everything to the extreme until it had lost its excitement. I realized that balance was the key. Another lesson I have learned is that life doesn’t have to be “normal”. Go to school, get a job, or buy a big house. When anyone strays from this path they are considered to be not “normal”. It’s only when I started traveling that I saw that a fulfilling and happy life isn’t always a respectable job, with a big house and lots of money. I began to meet interesting characters from all over the world and saw firsthand how they had gone “against the grain” and succeeded. There are tons of other ways to live a fulfilling and happy life, but most of us have only seen the “big house” scenario. I saw and experienced how happy people are doing something completely different than normal jobs, because they get to wake up every day and do what they want to do in the place they want to be. So, while travelling I realized that you can read about things, watch them on TV, or hear stories from a friend, but nothing comes close to first-hand human experience. You get a whole new perspective on what really matters and you feel this sense of adventure and excitement that reminds you just how many possibilities you have in life. To anyone who has not travelled, do it. And to those who have, continue to do so. It will teach you more about yourself and the world around you than you could ever imagine. 1) there always was an excuse not to do something. 2) he wanted to act according to a plan. 3) his travels were poorly organized. 4) he was afraid of new experiences. 1) is to be avoided. 2) write books about his adventures. 3) try to live a ‘normal’ life. Преобразуйте, если это необходимо, слово «FIVE» так, чтобы оно грамматически соответствовало содержанию текста. November 21. Today, I took the entire __________________ grade on a fieldtrip to the state capital. It was incredible! Преобразуйте, если это необходимо, слово CHILD так, чтобы оно грамматически соответствовало содержанию текста. The __________________ met a state senator. She showed them around the capitol building. They even got to listen to the senators discuss a new law! Преобразуйте, если это необходимо, слово NOT FORGET так, чтобы оно грамматически соответствовало содержанию текста. How would you like to go to school on Saturdays? If you lived in Japan, that's just where you _____________ each Saturday morning. Japanese students attend classes five and a half days a week. The half day is on Saturday. Преобразуйте, если это необходимо, слово LONG так, чтобы оно грамматически соответствовало содержанию текста. begins in the month of April. Students in Japan get __________________ vacation in late July and August. School then begins again in September and ends in March. Преобразуйте, если это необходимо, слово REQUIRE так, чтобы оно грамматически соответствовало содержанию текста. The people of Japan believe that a good education is very important. Children _____________ to attend school from the age of six to the age of fifteen. Then most students go on to high school for another three years. Преобразуйте, если это необходимо, слово BEGIN так, чтобы оно грамматически и лексически соответствовало содержанию текста. Have you ever wondered how the most famous inventions were created? From the ____________ of time, humans everywhere have been inventing. Преобразуйте, если это необходимо, слово IMPRESS так, чтобы оно грамматически и лексически соответствовало содержанию текста. By looking into our past and bringing invention stories to life, we are all reminded that regular people, like you and me, were able to come up with _____________ ideas that ended up having a great impact. Преобразуйте, если это необходимо, слово EDUCATION так, чтобы оно грамматически и лексически соответствовало содержанию текста. Knowing the past can help you create the future. If you are looking for invention inspiration, background for an __________ project, or just have a curious mind — read about famous inventions. The stories of great inventions are fascinating. Преобразуйте, если это необходимо, слово SIMPLE так, чтобы оно грамматически и лексически соответствовало содержанию текста. Some great inventions were created ____________ by mistake, others by trial and error. Преобразуйте, если это необходимо, слово INVENT так, чтобы оно грамматически и лексически соответствовало содержанию текста. Some _____________ of the most well-known products have incredible stories of innovation to tell. Преобразуйте, если это необходимо, слово CREATE так, чтобы оно грамматически и лексически соответствовало содержанию текста. Some of them were not aware at the time of their inventions that their ___________ would have a great impact on the world, while others realised immediately that they had a winner. Sir Alexander Heathcote was an exact man. 32 ______ people were like him. He was exactly six feet three-and-a-quarter inches tall, rose at seven o'clock every morning, joined his wife at breakfast to eat one boiled egg cooked for precisely four minutes, two pieces of toast with one spoonful of Cooper's marmalade, and drink one cup of China tea. He used to take a carriage from his home in Cadogan Gardens at exactly 8:20 and 33 ______ at the Foreign Office at promptly 8:59, returning home again on the stroke of six o'clock. Sir Alexander had been exact from an early age, as he was the only son of a general. But, unlike his father, he chose to serve his queen in the diplomatic service, another exacting calling. He 34 ______ in progressing from a shared desk at the Foreign Office in Whitehall to third secretary in Calcutta to minister in Peking. He was delighted when Mr. Gladstone 35 ______ the opportunity to represent the government in China. For some time he had been 36 ______ in the art of the Ming dynasty. This appointment would present him a perfect chance of 37 ______ in their natural habitat some of the great statues, paintings and drawings he had previously been able to admire only in books. When he arrived in Beijing, Her Imperial Highness wished him a successful term of office in his appointment and then the audience 38 ______ to an end. …My aunt lives in Arkansas and last week her house was ruined by a tornado. What do you think are the most horrible natural disasters? Which of them are typical of the place where you live? What can people do to protect themselves from them? Write a letter to Mary. In your letter answer her questions, ask 3 questions about her history teacher. Write 100–140 words. Remember the rules of letter writing. 1. Nature is powerful enough to oppose any harmful human interference. 2. Friendship increases in visiting friends, but in visiting them seldom.